At Henley Honda we pride ourselves on being a little different from your average car dealer. We don’t just give the you the keys and let you get behind the wheel… we let you get to know the team, showcase the cars and we have a little fun in the meantime. So our year in review might be a bit (wildly) different from what you might expect. Unless you’ve come to know us, in which case, it is exactly what you think. Shamil and the team in service did some pretty outstanding stuff this year. More on that later, but first, we delivered a lot of candy and delighted a whole lot of happy customers. You know whats better than an honest car service department that does exactly what it promises? 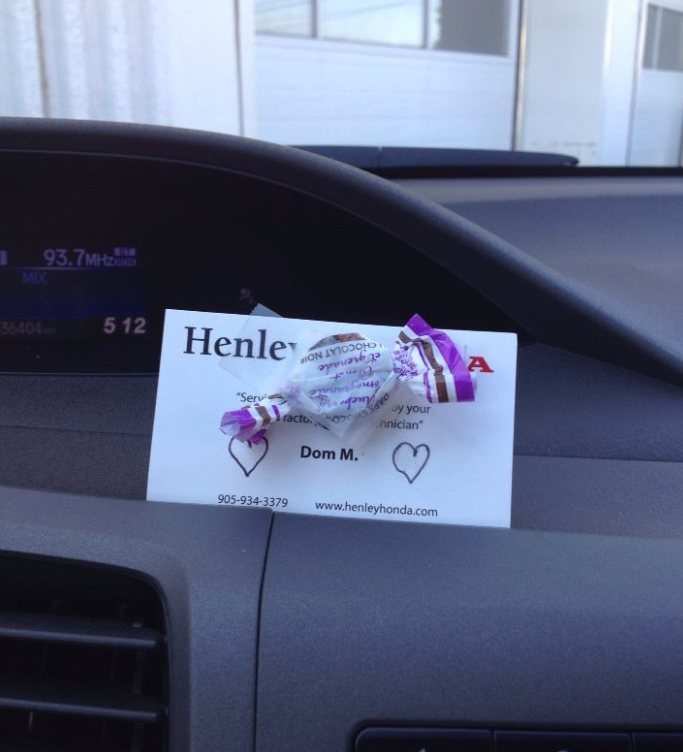 One that sweetens the deal with transparency and a little bon-bon waiting on your dashboard! And we took some of you with us! You got tickets to the hottest race in the province, and it was all in the name of beautiful vehicles… literally. It is called the Honda Indy! 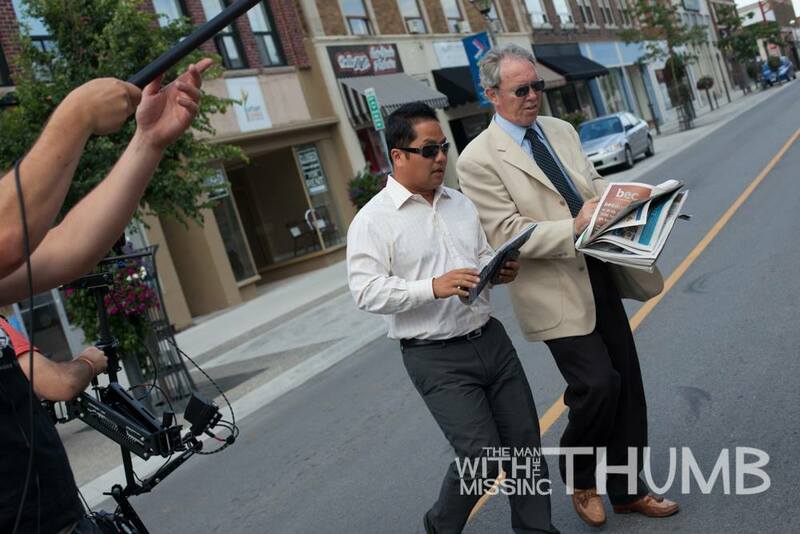 Tom, our sales manager, made his silver screen debut in a locally produced pilot called The Man With The Missing Thumb. Lights, camera, action! A charitable cause founded in the name Tyler King’s legacy, this organization is run by Pam King (Tyler’s mom) and collects warmth (hats, mitts, coats, scarves) for those who can’t afford it in the Niagara community. 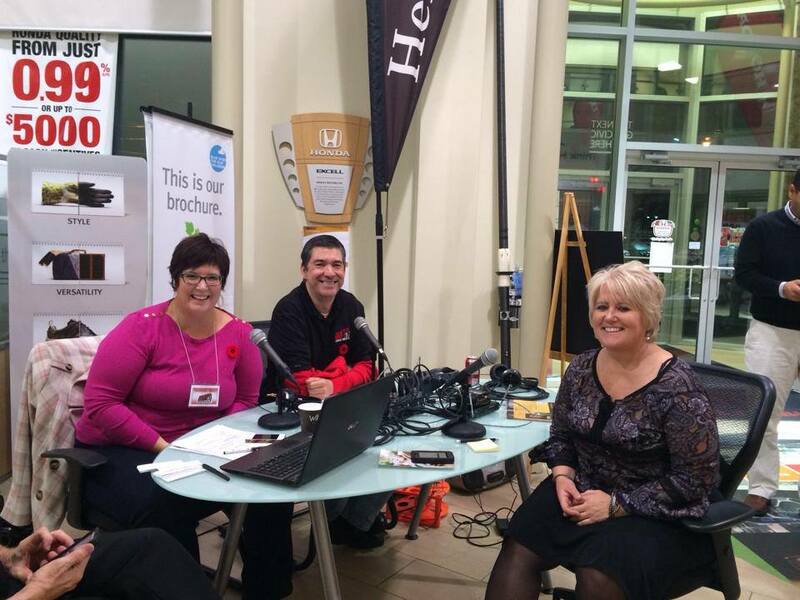 We were honoured to be a part of it all, we collected from than 60,000 pieces of warmth during the winter drive! We put up the best board advertisement that we could think of under the visitors bench at the Jack Gatecliffe Arena so that everytime the IceDogs played their competitors had a hard time putting on their tough game faces! We ate a lot of birthday cake… a lot. A staple of the St. Catharines culture scene, STRUTT is a wearable art fashion show that is not to be missed. It is amongst our favourite nights out in the city, if you haven’t been, we’ll see you there in 2014! Thank you Niagara for another awesome year and for keeping us at number one as your favourite Honda dealership in the region. We believe in this community and we will continue to be a big part of it!